Learning based on practice and applications is well suited to preparing students for today’s industries. Recently I overhead someone say, “I have heard the words ‘engineering’ and ‘technology,’ but I have never heard them put together as ‘engineering technology.’ ” If you are a member of ASEE and you don’t know what engineering technology is, or think you know exactly what it is, please read on. You may be surprised to know there are both two- and four-year ABET accredited engineering technology (ET) programs. In addition, to be fair, just as with engineering programs, there are a number of two- and four-year ET programs that are not accredited. ET covers almost every field that engineering covers. It includes electrical engineering technology, mechanical engineering technology, and civil engineering technology, as well as many other more focused or specialized fields, such as health-care engineering technology management, interior design technology, and surveying engineering technology. While the number of ET programs in the United States is only one third the number of engineering programs, it is sufficient for ASEE to have an Engineering Technology Council, which represents ET-offering institutions. Depending on their size, ET programs may be led by deans, department heads, or directors. Four-year ET programs were developed in the 1960s in response to a trend among engineering programs that placed a greater emphasis on mathematics and science and less emphasis on practice and application. An abundance of practice- and applications-oriented activities remains a distinguishing feature of the ET curriculum. Such an approach is ideal for students who internalize information by seeing concepts in action and gaining firsthand experience with those concepts through practice-based learning. ET students are uniquely equipped to recognize the value of experiential learning outside a college or university environment. Technical experience gained on the job, in the military, or via skilled crafts can often provide a foundation for engineering technology, making it easier for nontraditional adult students, military veterans, and trained technicians to advance their education in an efficient and economical manner. Thus, schools that offer ET programs find that they enhance recruitment among this demographic group. In addition, ET programs historically have helped attract a greater proportion of underrepresented minorities to technical fields, an outcome that is a perennial objective of the engineering profession in general. ET programs generally synchronize well both with two-year institutions that offer technology programs with pathways to lucrative careers as engineering technicians, and articulations with a four-year engineering technology degree for a career as an engineer. ET graduates are particularly adept at the application of modern technology to production-level engineering problems. Because state-of-the-art equipment is at the heart of the practice-based learning in ET programs, companies hiring these graduates routinely comment on how rapidly they learn and their quick ascent to full productivity. ET graduates are regularly hired and excel as sales engineers, field service engineers, operations engineers, manufacturing engineers, and systems integrators. These call for the ability to recognize key facets of engineering problems, assess practical methods to address those problems, identify readily available devices, systems, and practices that can be applied to solve those problems, and then be actively involved in the implementation of the solutions. ET graduates excel in addressing problems that arise in real-world situations and that are best resolved through application of readily available technology, thus enhancing an industry’s competitiveness in the global market. Due to their application-oriented focus, ET programs have been actively involved in regional economic development, meeting the needs of industry through engagement projects, industry advisory boards, and real-world capstones. Besides nontraditional students, the population attracted to these programs includes first-time college students seeking to increase their socioeconomic status. Many come from local communities and want to stay in the same region, building a stake in its economy. Now I hope it is no surprise to you that most four-year ABET ET graduates are routinely hired as engineers and work right next to a four-year ABET engineering graduates with the same title: engineer. The degree is engineering technology; the career is engineering. 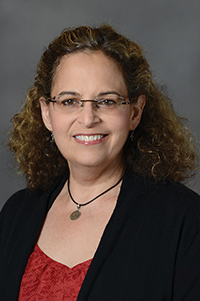 Patricia Fox, a clinical assistant professor in organizational leadership at Indiana University-Purdue University Indianapolis, is the immediate past chair of ASEE’s Engineering Technology Council.